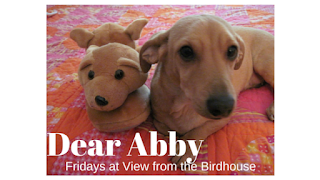 I'm back to continue our chat about movie dogs. This week my post is all about Toto, the cute little terrier dog from The Wizard of Oz. This is one of my Momma's favorite lifelong movies, so I have seen it many times with her. 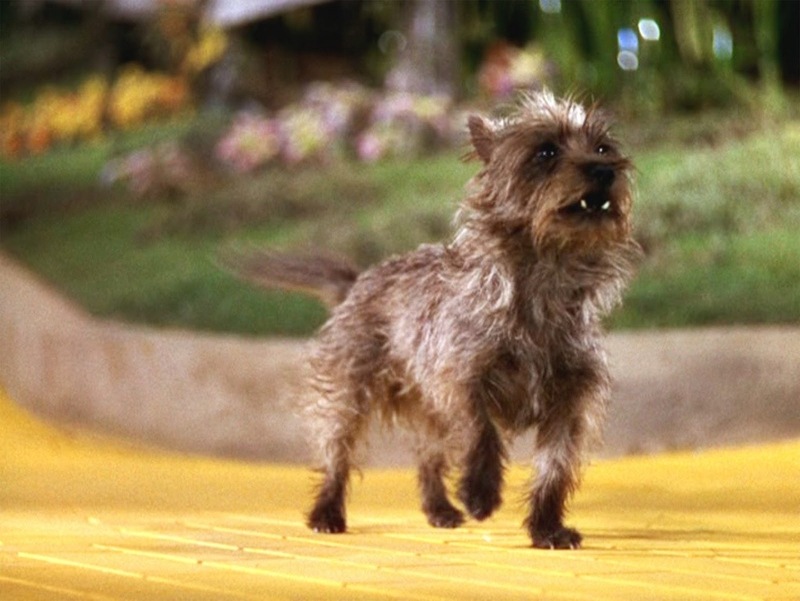 Toto was a female Cairn terrier. She was born during the Great Depression in 1933. Her original owners were a young couple who did not train her properly. She had potty accidents and they looked for another home for her. (Momma said that sadly this happens a lot in rescue.) They found Carl Spitz, a famous dog trainer. He worked training Terry and found she was very smart. That is how her movie career began! Her movies included Bright Eyes (with Shirley Temple), The Women, and Tortilla Flat. She was afraid of the wind machines used in the movie. Terry made $125 a week - more than the Munchkins! She attended the movie premiere at Grauman's Chinese Theatre. After this movie, Terry changed her name to Toto officially. She passed away in 1945 and was buried at Carl Spitz's ranch. Her grave was destroyed when the Ventura Freeway was built, but she now has a memorial at the Hollywood Forever Cemetery. There is a book about Terry called I, Toto: The Autobiography of Terry, the Dog Who Was Toto by Willard Carroll. My Momma has a copy of this book here, but she has not read it (yet!). 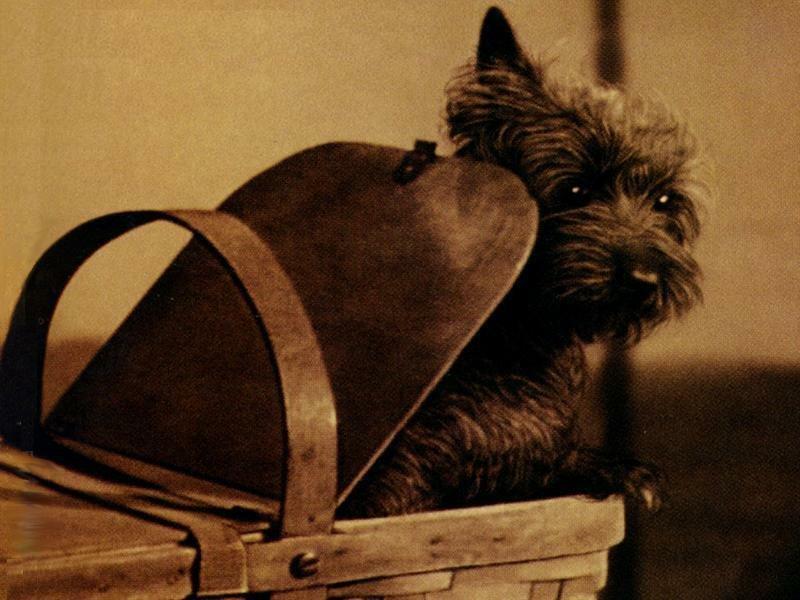 Here is a little short video about Terry as Toto. It is narrated by Angela Lansbury. I enjoyed it and think you might like it too. I would love to hear your Wizard of Oz memories! Did you grow up watching this movie? I love seeing Toto! I think he is the feature of the whole movie. Every year near the Holidays! Awww. Poor girl. I hate that she got hurt on the set. She's a cutie too! What is awesome is that Judy Garland is from my husbands' dads' hometown! It's a super small town up in Northern Minnesota. Thanks for stopping by! I enjoyed your comments on this favorite movie. 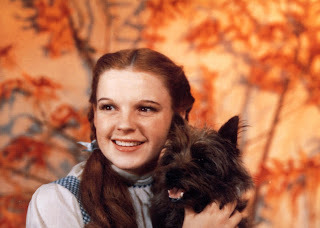 InspirationIndulgence, how neat that your father in law is from Judy Garland's hometown! Becky, I agree, that is a good paycheck for a dog!